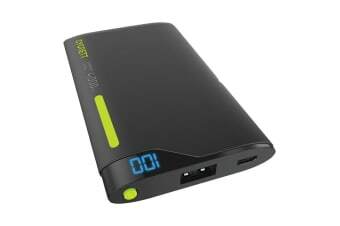 The Cygnett ChargeUp Digital 4000mAh Portable Power Bank provides you with all the power you will ever need right at your fingertips. Whether you are always on the go, traveling or just going to the beach the Cygnett ChargeUp Digital 4000mAh Portable Power Bank will allow you to make sure you are always connected; and getting the most out of every adventure. Fully charge your smartphone 2-3 times on a full charge.